We all want our kids to be financially literate and to appreciate that money doesn’t grow on trees. Problem is, we often act in ways that do not reinforce that value set. 1. Play the soda game. Next time you go out for a meal or a snack and your kids want a soda, offer them a choice: buy them a soda or give them a dollar. This changes the equation and forces kids to think about the financial implications of their choices. 2. Give allowances in greater amounts, but less frequently. Allowances are good ways to teach kids about money, but instead of giving smaller amounts weekly try giving larger amounts monthly or quarterly. 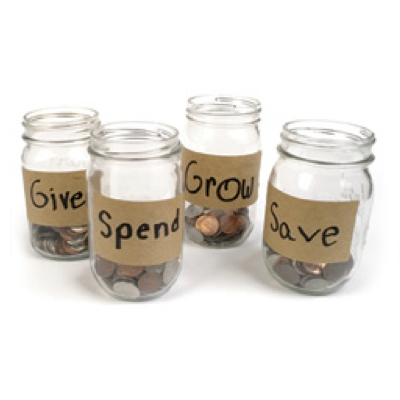 This forces kids to think about managing their money over longer periods of time and introduces them to the basic concepts of budgeting. Bank accounts are a great way to keep track of inflows and outflows. Who doesn’t like to see their balance grow instead of shrink? 4. Distinguish between having money and spending money. Kids will often compare themselves to peers or neighbours and confuse having money with spending it. Conspicuous consumption, or the visible display of wealth is evidence of spending, not necessarily saving or accumulation of wealth. Kids need to learn the difference. 5. Give spending money, but tell them what they don’t spend is theirs to keep. Your kid goes on a field trip and you hand them $5 for a snack. Make sure to tell them what they don’t spend they can keep. See if this changes their spending habits. Create financial consequences for kids. Make sure kids have skin in the game when it comes to money. Structure how and when money is distributed. As always, I’d be interested in hearing how these tactics work for you or if you’ve had success with other techniques for teaching kids about money. Thanks for “paying” this article your attention.